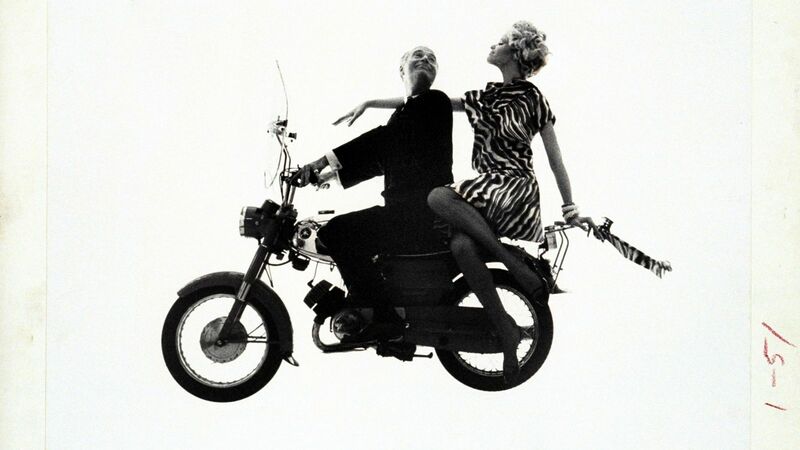 Douglas Auchincloss, Veruschka, and Yamaha. Hair by Kenneth. Vogue 1965. Ill-fitting is always stylish. But be more creative - wear your clothes inside out, backward, upside down. Throw bleach in a load of colored laundry. Follow the exact opposite of the dry cleaning instructions inside the clothes that cost the most in your thrift shop. Don't wear jewelry - stick Band-Aids on your wrists or make a necklace out of them... Best yet, do as Mink Stole used to do: go to the thrift store the day after Halloween, when the children's trick-or-treat costumes are on sale, buy one, and wear it as your uniform of defiance.